CHICAGO – Showing the opioid epidemic knows no age limits, new research suggests more than 100 children test positive for opioid addiction or dependency each day in U.S. emergency departments. The study abstract, "Opioid abuse in children: An emerging public health crisis," will be presented on Monday, Sept. 18, during the American Academy of Pediatrics (AAP) 2017 National Conference & Exhibition in Chicago. Researchers performed a retrospective analysis of the 2008-2013 data from the Nationwide Emergency Department (ED) Sample, the largest all-payer ED database in the United States. They found the number of ED visits by patients age 21 and younger for any reason who were diagnosed with addiction or dependency on opioids – which include prescription painkillers as well as illicit drugs such as heroin — rose from 32,235 in 2008 to 49,626 in 2013. 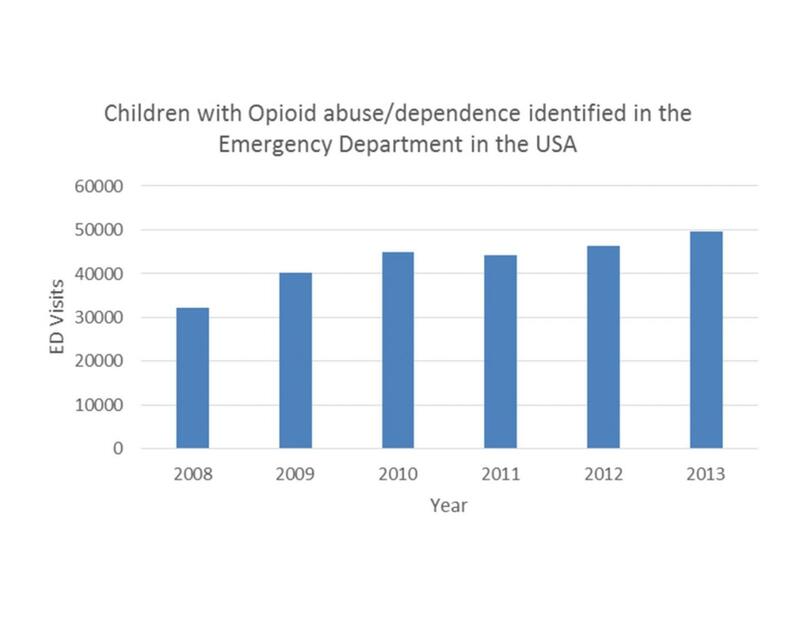 "It was very concerning to see that by the last year we studied, an average of 135 children each day were testing positive for opioid addiction or dependency in emergency departments," said Veerajalandhar Allareddy, MD, MBA, one of the abstract's authors and medical director of the pediatric intensive care unit at the University of Iowa Stead Family Children's Hospital. " In our opinion, this is a pediatric public health crisis," he said. Allareddy said nearly one-third of the children were admitted as inpatients, regardless of cause, to the same hospital as the ED visit. Pediatric patients living in high-income households were more likely to be hospitalized rather than routinely discharged, the data show, while uninsured patients were less likely to be hospitalized. This apparent income-based difference in the likelihood patients were to be hospitalized and potentially treated for their opioid addiction or dependency, Allareddy said, was among the many reason youth opioid addiction merits further study. "This was intended to be an exploratory study," Allareddy said, "one that we hope will help alert the public, researchers, and policymakers of the need to fully define and address this important, emerging public health problem among children in the United States." Allareddy will present an abstract of the study, available below, between 5:10 and 6 p.m. in room S106 of McCormick Place West, 2301 S King Dr, Chicago.